Nothing beats a crackling log fire on a cold winter night! 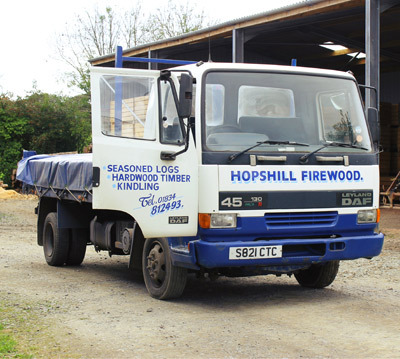 We sell hardwood and softwood seasoned logs in purpose made air vented crates along with Jumbo Bags as well as nets of mixed logs and kindling. 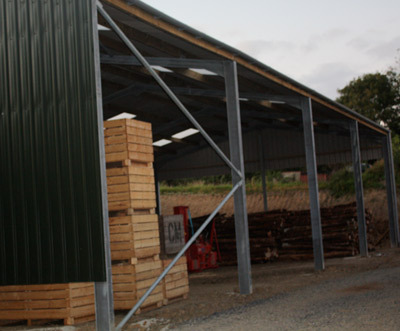 Our delivered timber is stored in our yards, converted into logs using various specialist machinery and then stored undercover before finally drying in crates. We sell by volume rather than by weight so that the amounts sold are of a constant measure. All customers receive the same amounts. We have a tipping lorry which can hold up to two crates (4 cubic meters) at a time. Delivery is included in the price within a 5 mile radius anything over will be charged accordingly with the customer depending on the location and distance travelled. Our minimum delivery quantity is a cubic meter. Collection of logs can be arranged. Logs are processed through the HAKKI PILKEE 42 processor which is attached with a log deck where wood is loaded on via the Doosan 6 tonne excavator which has its own log grab. This enables the wood to be transfered in lenghts via the conveyor belt, cut to exact lenghts for logs via the chainsaw and are dropped into a chamber whereby the logs are split evenly. From here they are pushed up the elevator whereby there are dropped into the ventilated crates, jumbo bags, nets and stacked under cover in the shed. 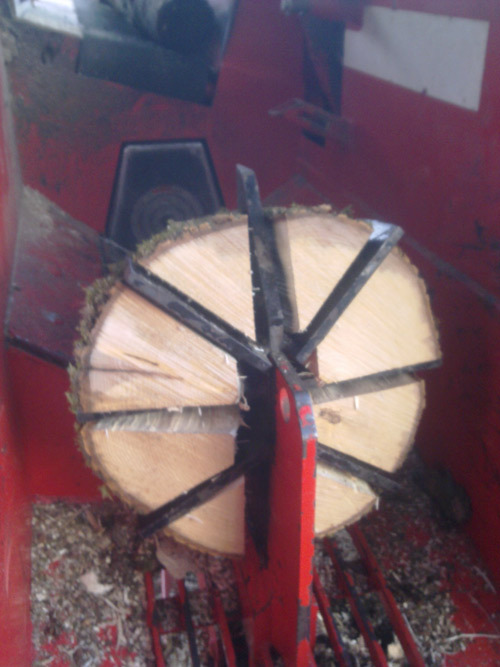 Any oversized timber such as large trunks are put through the POSCH 30T SPLITMASTER. Kindling is processed via the KINDLET machine. Douglas Fir and Avis Grandus woods are used as they are straight and with no knots and are split truly to produce excellent quality kindling which come in 6inch lengths and are netted. A Same 85 Explorer with a quickie 30 loader is fitted with a box rotater, is used to empty the crates into the lorry where there taken to the customer and tipped. A new purpose built shed of 80 ft long, 40 ft wide and 18 ft to the eves in height has been built! Crates, softwood and hardwoods are stacked, to dry and season with excellent ventilation coming into the shed. Also is the Kindling shed which is 70 ft long and 30 ft wide and had slatted wooden yorkshire boarding sides which allows ventilation to keep nets of logs and kindling dry.